After reaching the 100,000 fan mark on Facebook last week, DW has added yet another goodie to its array of German-language fun. With the new “Liebling” website, users can vote for their favorite renditions of German songs, by performers who are still learning German. Who is your liebling? Deutsche Welle (DW) is using a contest to develop a new kind of user-generated content for its award-winning radio series Learning by Ear. From now until June 30, young listeners in Africa will be able to submit their story ideas for a chance at having one of them produced and broadcast, as well as being turned into a community play. So far, Learning by Ear has told the stories of many young Africans, like Jon-athan who dreamt of becoming one of the most successful soccer players in the world. Or 16-year-old Desirée who took care of her little brother follow-ing her mother’s death. Now, Germany’s international broadcaster wants their listeners in Africa to share the most important lessons they’ve learned in life, or respond about the topics they want to hear more about in the future. The winning story will be turned into a new Learning by Ear series and adapted for the stage in the winner’s hometown, with the winning group in the production. Other prizes include cameras, a CD player plus a Learning by Ear fan package including t-shirts, CDs and much more. Entries will be accepted until June 30, 2012 and winners will be selected shortly thereafter. 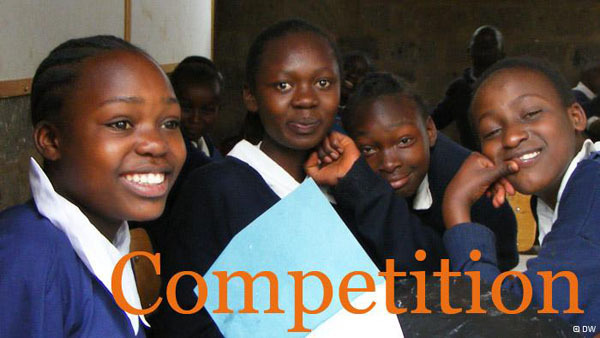 The contest is open to young people under the age of 25 and groups need to be made up of at least five people. All participants must be from an African country. Entries should include a written story no longer than one page; a list of the group members including their names and ages; and a photo of the entire group. All entries should be sent to lbe@dw.de. Find out more about Learning by Ear or go to the contest website.